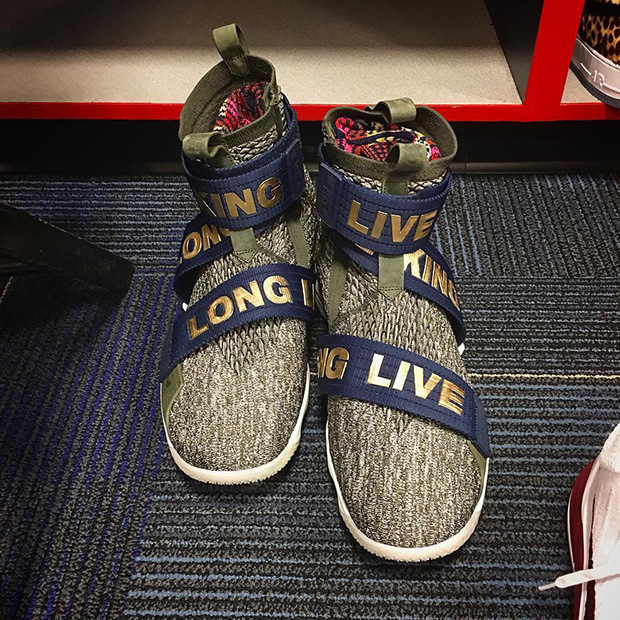 Perhaps the most intriguing aspect of the Nike LeBron 15 is the potential on a lifestyle/off-the-court front. 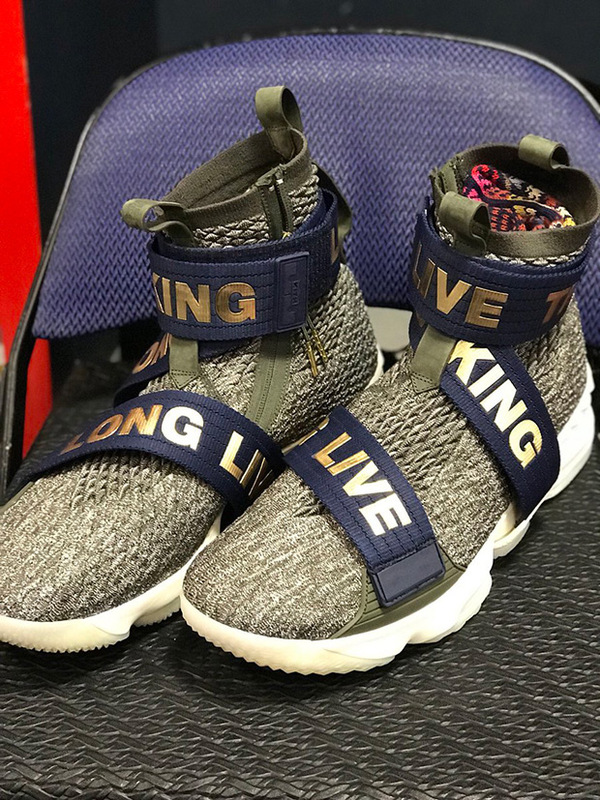 Jason Petrie confirmed that a strapped version of the Nike LeBron 15, which first appeared at the KITH fashion show back in September, will be featured as part of the shoe’s production in the future, but it appears that LeBron himself might give the shoes a go tonight against the Washington Wizards. 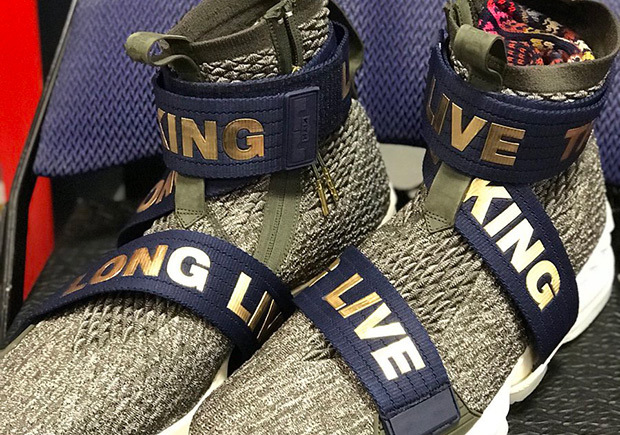 Giving the LeBron 15 a Soldier-esque appeal, these newly added straps feature “Long Live The King” emblazoned in gold, while the medial-side zipper and higher-cut Flyknit ankle lend to a Chelsea boot look. Release date information for the Nike LeBron 15 Strap has yet to be revealed, but peep the closer looks here.